The COMPLETE Our Valued Customers! This giant 400 page book contains the first 1,606 OVC comics and is available NOW at your local comic book store! 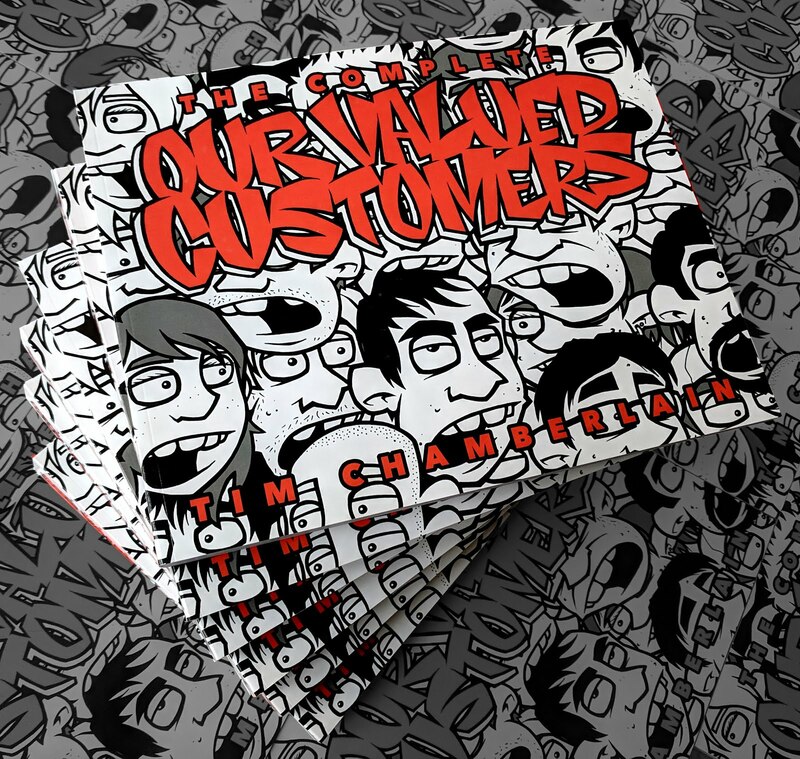 Or you can head over to the new OVC store and get a signed copy (with a sketch) right NOW! Just click the image above. The NEW Our Valued Customers store! It's new! It's Better! 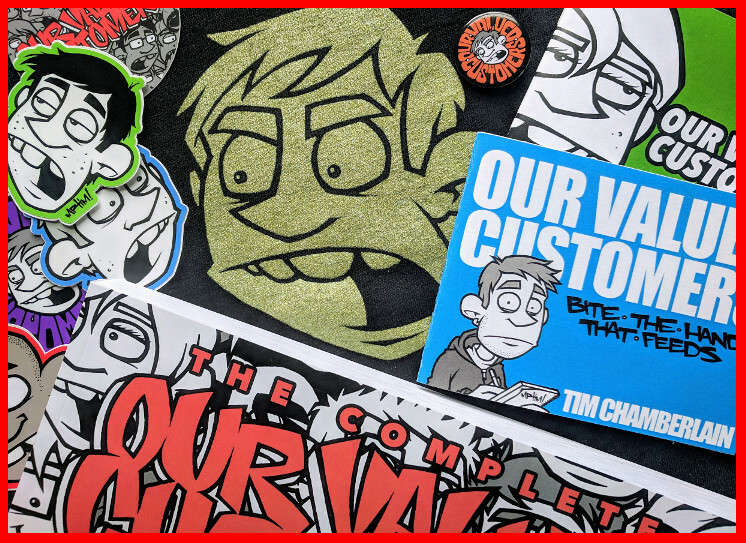 Comics, shirts, stickers and more! Click the image to check it out! OVC: BITE THE HAND THAT FEEDS! 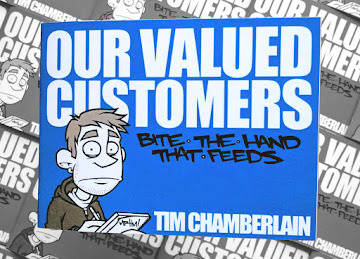 24 brand new, never before seen OVC comics featuring the best of the horrible things people have said to me ABOUT Our Valued Customers! 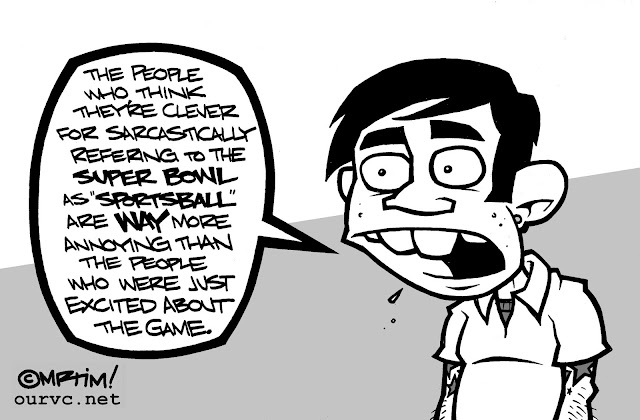 OVC comics ABOUT OVC comics! Meta as hell! Click the image to order yours NOW! OUR VALUED CUSTOMERS is a PC Magazine EDITOR's CHOICE! 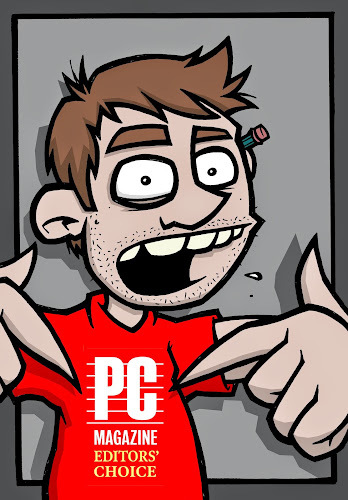 For the THIRD year in a row, Our Valued Customers has been selected by PC Magazine as one of the best webcomics! Click the image to see the full list! 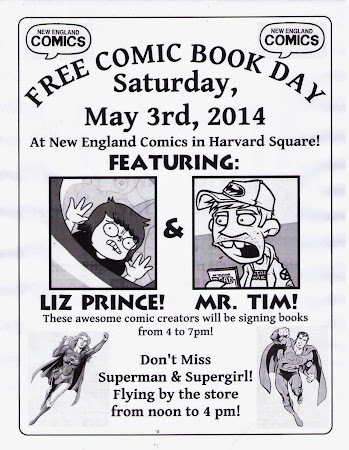 I'll be signing books from 4-7 with comics superstar Liz Prince! New England Comics in Harvard Square, Cambridge MA.